Sometimes life can give us a whole lot of tasks to do, be it in work, or even at play. 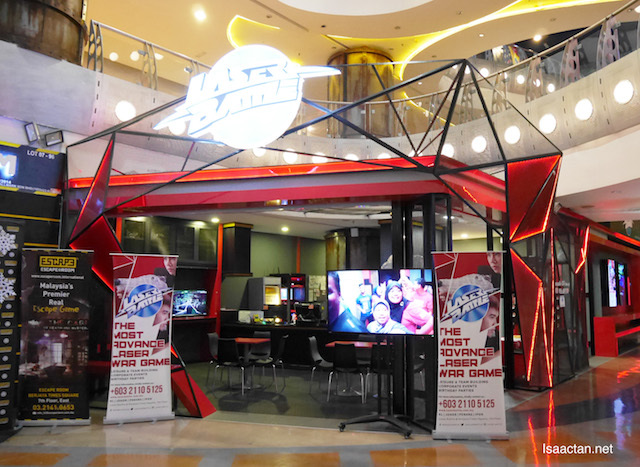 To continue being active in what we do, an energy booster is indeed welcome at times. What better way to give that extra boost to recover our energy than going for Taurus Energy Drink, The Energy Booster That's Halal For All. Yes you heard that right, it's certified Halal in Malaysia, giving that boost we need to continue our active lifestyle, to stay alert and energetic. 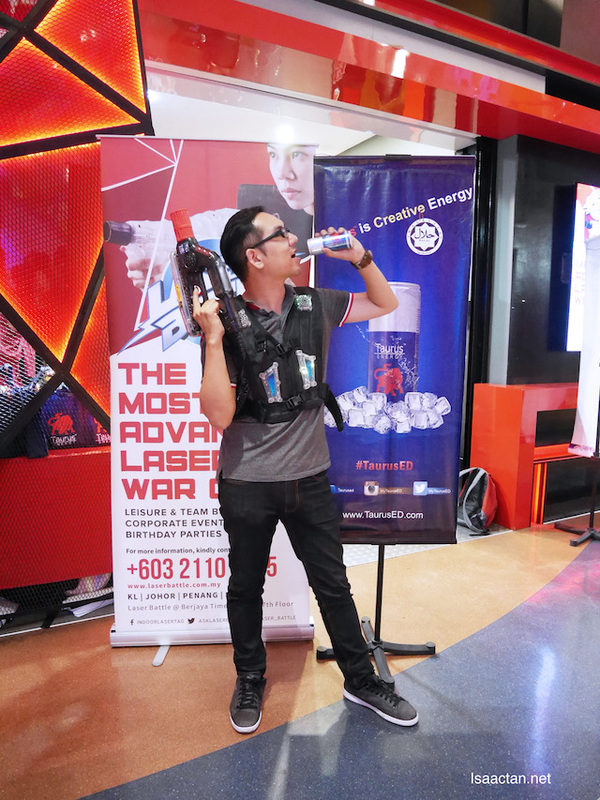 What better time to try out and experience the boost that Taurus Energy Drink can give, than to have it during our blogger's Laser Tag Battle day out the other day. 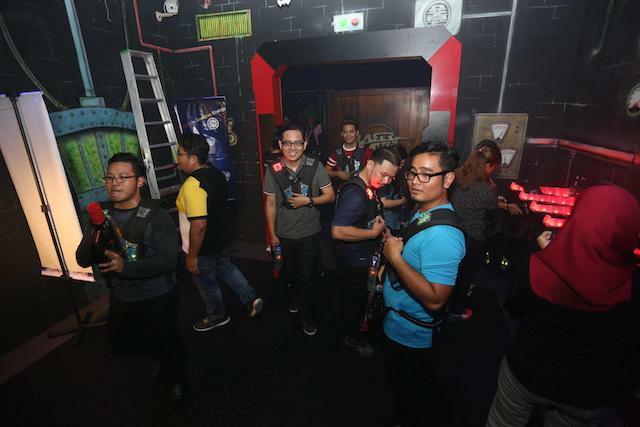 A laser tag round can be extremely energy sapping, where our adrenaline peaks out from the anticipation, and running around shooting up enemies. 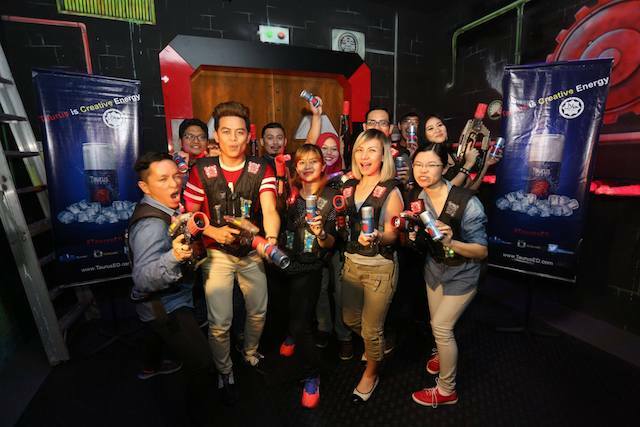 We had three full rounds of laser tag battles at Laser Battle Berjaya Times Square, with 20+ bloggers running around, all pumped up to be the very best. 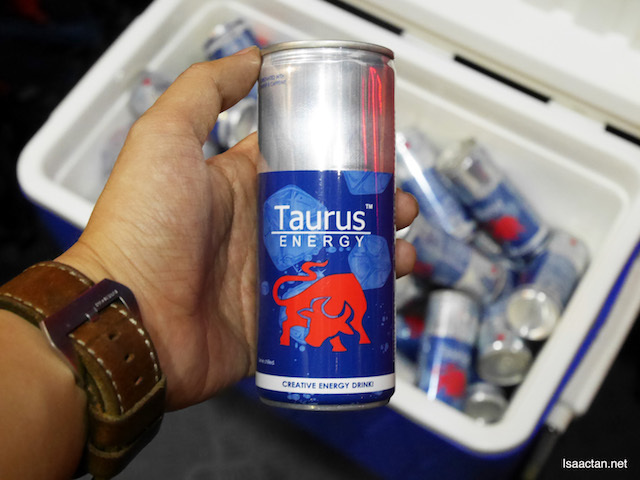 Just grab a can of Taurus Energy Drink and we're good to go! My laser tag team, all ready for battle! My fellow teammates gave our very best, even though the game can be so energy consuming. It wasn't my first time playing laser tag, but I was pretty worn out after every round of running around in the dark. 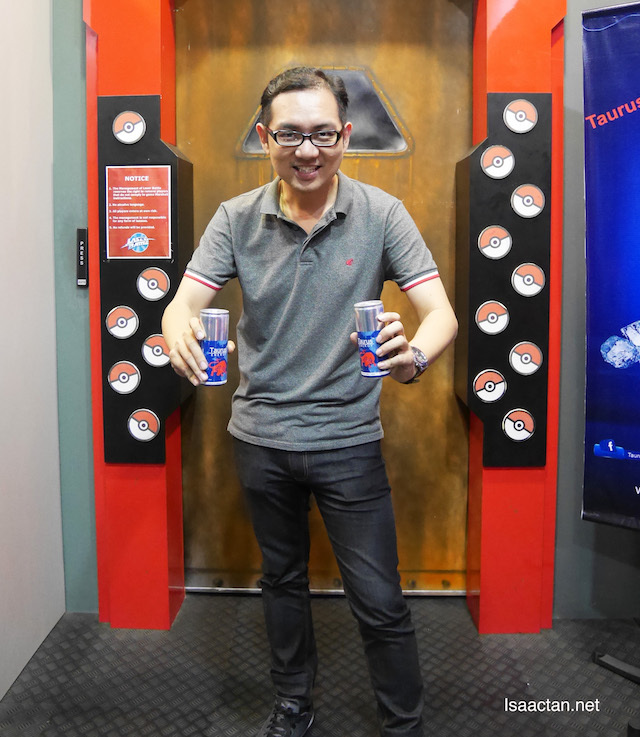 Luckily we had Taurus Energy Drink to help boost back our stamina for the subsequent rounds. It really perks me up, and gives me that extra push needed to fight on! 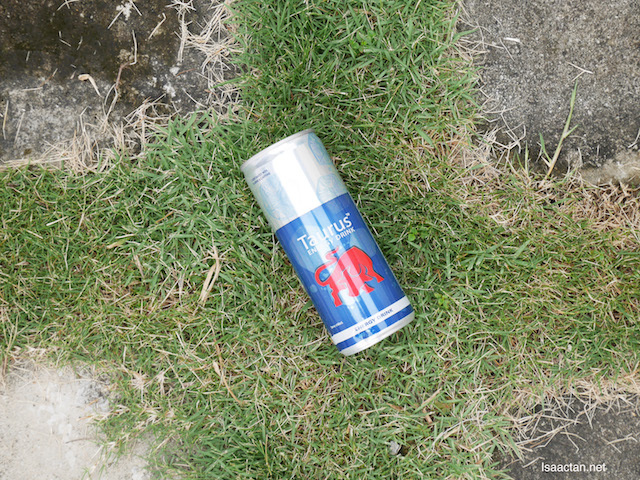 What's inside the Taurus Energy Drink? Taurus Energy Drink is certified with ISO 9001, HACCP, FDA and more over the HALAL Malaysia Certification which is well recognized worldwide. Now that's a whole lot of certification, so everyone can enjoy this energy booster, anytime of the day. The actual ingredients contained within each can of Taurus Energy Drink is listed as below. 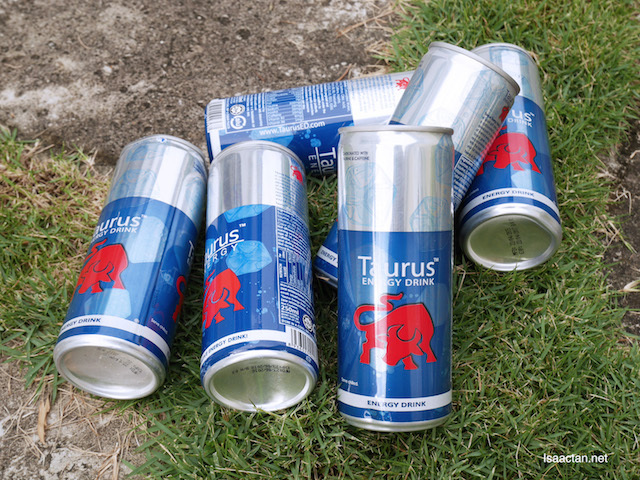 One of the highest content inside the Taurus Energy Drink is Taurine which amounts to 0.4%. Taurine is a non-essential amino acid, which can be produced by the body with the help of cysteine. Taurine is important in the development of the central nervous system and the regulation of fluids in the body?s cells. Furthermore, taurine has been attributed partial protective functions for cell membranes and antioxidant properties. Studies have shown that drinks containing taurine can furthermore significantly prolong the duration of their impact at a higher level of intensity. In combination with caffeine, taurine can have a stimulating and invigorating effect. Taurine improves and/or regenerates muscle tone and has a detoxifying effect. Thumbs up to Taurus Energy Drink! 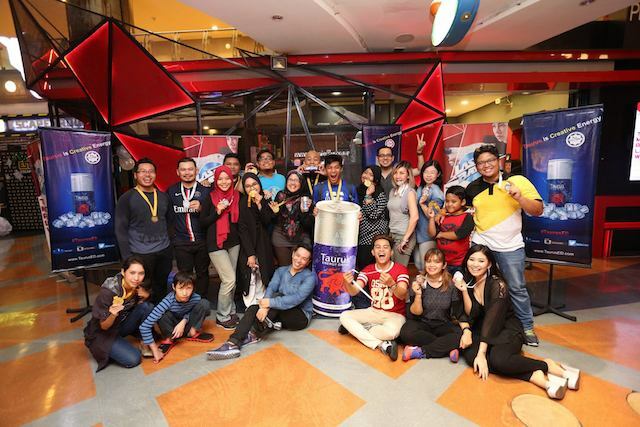 Taurus Energy Drink can be bought anytime of the day from 7-11 outlets throughout Malaysia. A Made In Malaysia product, the drink is also distributed throughout the Maldives, Sri Lanka, Vietnam, Bangladesh, and coming soon to the U.A.E, Iran, and Qatar. Highly recommended for those who need an instant boost, which works well for those who burn the midnight oil daily to settle blog posts such as this one now. Go try one today! I don't drink those so I never take notice. You mean the rest are all not halal?